The Great British Summer is finally here and it's a scorcher! We can’t think of a better way to cool down than with one of these frozen treats. This recipe in the perfect blend of fresh watermelon and mint with a little adult kick – the ultimate summertime treat. • Combine sugar, mint and water in a saucepan and stir over medium heat to dissolve. 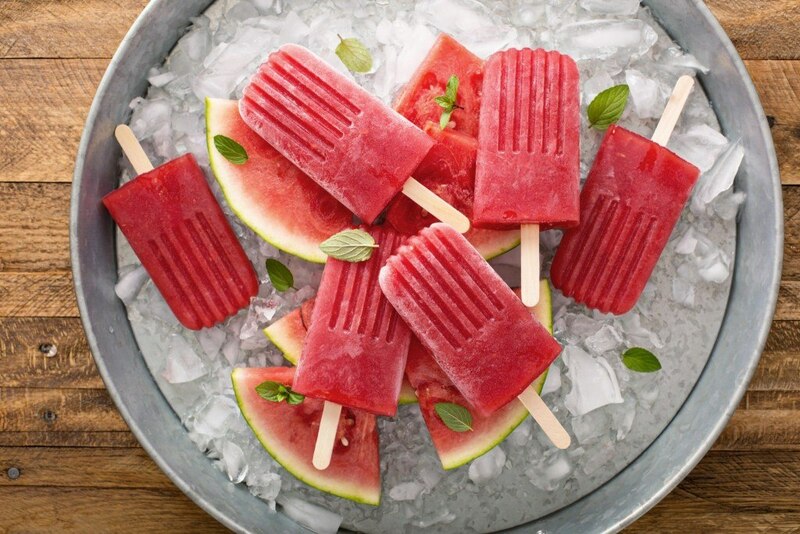 • Blend the watermelon to a puree and add the lime juice. • Strain through a fine sieve /muslin cloth to remove any seeds and bits and them combine with the mint syrup and vodka. For a little twist why not use basil rather than mint or tequila rather than vodka. The skies the limit! Inspired to make them yourself? Make sure you tweet your creations to @createfood before you tuck in! Make sure you sign up to the Create Newsletter, tips and tricks from the Create chefs, great new places to eat and drink in London, all the latest Create events news and much more.